Since the 1980s, society’s wealthiest members have claimed an ever-expanding share of income and property. It has been a true counterrevolution, says Pierre Rosanvallon — the end of the age of growing equality launched by the American and French revolutions. And just as significant as the social and economic factors driving this contemporary inequality has been a loss of faith in the ideal of equality itself. 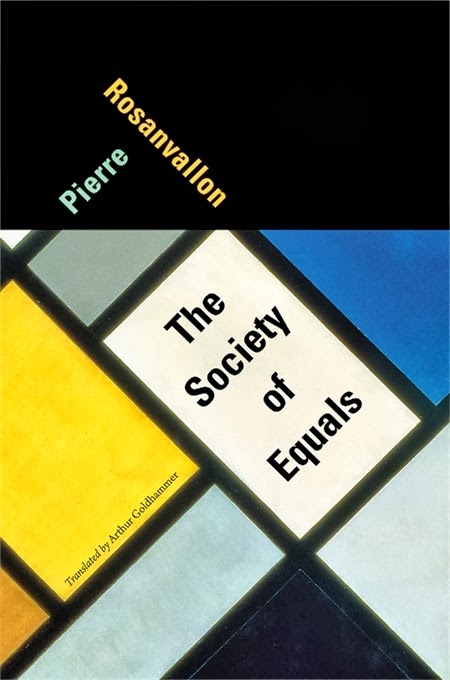 An ambitious transatlantic history of the struggles that, for two centuries, put political and economic equality at their heart, The Society of Equals calls for a new philosophy of social relations to reenergize egalitarian politics. There is no returning to the days of the redistributive welfare state. Rather than resort to outdated notions of social solidarity, we must instead revitalize the idea of equality according to principles of singularity, reciprocity, and communality that more accurately reflect today’s realities. Pierre Rosanvallon is Professor of Political History at the Collège de France and Director of Studies at L’École des Hautes Études en Sciences Sociales, Paris. He is the author of "Democracy Past and Future" (Columbia University Press, 2006) and "Democratic Legitimacy" (Princeton University Press, 2011). See Rosanvallon's lecture "Rethinking Equality in an Age of Inequalities" [pdf] from November 2011. A video of the lecture is available here. A review of the book by Daniel Ben-Ami in "The Financial Times" here. An interview with Rosanvallon on his book here (in French). German edition: "Die Gesellschaft der Gleichen" (Hamburger Edition, 2013). A review by Anna Hollendung here. "Religion in Politics: Rawls and Habermas on Deliberation and Justification". The paper is based on Mautner's lecture at the international conference on "The Role of Religion in Human Rights Discourse" held in Jerusalem in May 2012. See a video from the event here. An abstract booklet is available here [pdf]. Menachem Mautner is Professor of Comparative Civil Law and Jurisprudence at the Tel Aviv University. He is the author of "Law and the Culture of Israel" (Oxford University Press, 2011). 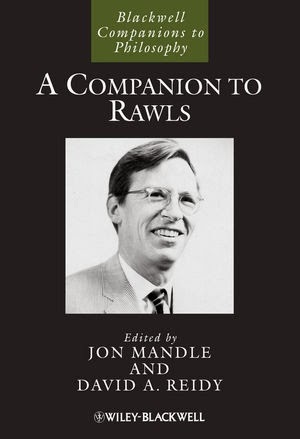 New Book: "A Companion to Rawls"
"It is now more than 10 years since John Rawls died in 2002, at the age of 81, and more than 60 years since his first publication in 1951. Yet, his work continues to occupy a unique and central position in contemporary political philosophy. Over the years it has generated an enormous secondary literature and sparked numerous interpretive and critical debates. The recent publication of Rawls's Princeton undergraduate thesis and his Harvard lectures in moral and political philosophy and the archival processing by Harvard of Rawls's unpublished papers, lectures, letters, annotated books, and so on, have only served further to stimulate interest in and debate over Rawls's work, often raising new questions, reviving debates thought to be settled, and suggesting new ways of understanding Rawls's work. With all this in mind, we were keen to produce with this volume not so much a summary of past scholarly work as a serviceable roadmap for current and future work on Rawls. Accordingly, we asked our contributors to address themselves to the themes and issues that in their view will or should occupy the attention of scholars engaged or likely to engage in this work." David A. Reidy is Professor of Philosophy at the University of Tennessee. He is co-editor (with Martin Rex) of "Rawls's Law of Peoples: A Realistic Utopia?" (Blackwell, 2006). 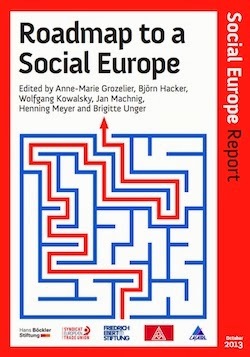 New Book: "Roadmap to a Social Europe"
Ed. by Anne-Marie Grozelier et.al. Social Europe Journal, together with its partners for this project - the European Trade Union Confederation (ETUC), the IG Metall, the Friedrich-Ebert-Stiftung, the Hans Böckler Stiftung and the French Institute Lasaire - has published an eBook with 43 articles on different aspects of the European social dimension written in spring and summer 2013. The book has three principal sections: In the ﬁrst part, some of Europe’s most prestigious thinkers and analysts make the connection between the discussion about Social Europe and the wider European malaise. One cannot discuss the social dimension in isolation but has to link it to the wider debate about the future of European integration if you want to be realistic, up-to-date and relevant. Following this, the second part brings together trade union views "from the ground" across Europe. European political discussions are often perceived as detached from the real lives of people in the member states and the discussion about Social Europe is no exception. Therefore we collected the views of European and national trade union leaders and thus added an important dimension that has often found too little appreciation. In the third and ﬁnal part, some of the best experts in the ﬁeld address a series of more speciﬁc issues related to the social dimension of the European Union and make recommendations for how to tackle them. What Is The Social Dimension Of The EU? Habermas - "Politik und Religion"
A new article by Jürgen Habermas on politics and religion has been published in "Politik und Religion" (C.H. Beck Verlag, 2013), edited by Friedrich Wilhelm Graf and Heinrich Meier. Die Philosophie sollte den Faden einer dialogischen Beziehung zur Religion nicht abreißen lassen. Denn wir können nicht wissen, ob sich der bis heute – bis zu Jacques Derridas Begriffsschöpfungen – andauernde Prozeß einer Übersetzung unabgegoltener religiöser Bedeutungspotentiale in die Begrifflichkeit nachmetaphysischen Denkens schon erschöpft hat. Die Empfehlung einer dialogischen Beziehung schließt ein funktionalistisches Verständnis der Religion aus. Denn eine mögliche Fortsetzung jener semantischen Osmose, die ich aus der Sicht der Philosophie angedeutet habe, setzt ja weder voraus, daß dieser Dialog ein Nullsummenspiel ist, noch folgt daraus, daß sich das philosophische Denken auf diesem Wege von Religion abhängig macht. Ich exponiere lediglich die Frage, ob sich vielleicht im Zuge einer weitergehenden philosophischen Versprachlichung des Sakralen die beide folgenden Defizite, die ich als Mängel nachmetaphysischen Denkens empfinde, ausgleichen lassen. Im Hinblick auf die überkomplexen Herausforderungen der im Entstehen begriffenen Weltgesellschaft empfinde ich es erstens als ungewiß, ob die Ressourcen einer unverlierbaren (! ), aber nur schwach motivierenden Vernunftmoral, auf die sich auch die verfassungsrechtlichen Integration weitgehend säkularisierter Gesellschaften in letzter Instanz stützen muß, ausreichen. Diese Moral darf zwar – und das ist ihre Stärke – mit universalistischem Anspruch auftreten; aber zu solidarischem Handelns kann sie uns nur noch indirekt – in der Erwartung eines kumulativen Zusammentreffens individueller Entscheidungen – durch den Appell an das Gewissen eines jeden einzelnen Individuums verpflichten. Kants ”Reich der Zwecke” ist intelligibler Gemeinde der Gläubigen – im Vollzug gemeinsamer Praktiken. Zweitens bin ich im Hinblick auf die vielfältigen lebensweltlichen Symptome eines sich zum Universum abschließenden und versiegelnden Kapitalismus, der die Politik entwaffnet und die Kultur einebnet, von der Frage beunruhigt, ob der in der Philosophie selbst brütende Defätismus der Vernunft deren Kraft zu einer Transzendenz von innen vollends aufzehrt und die Spannkraft eines üben den jeweiligen Status quo hinauszielenden normativen Bewußtseins zermürbt." On September 29, 2013, Jürgen Habermas received the Kassel Prize "Das Glas der Vernunft". Habermas received the prize because of his commitment to a common European future and a cosmopolitical oriented world society. See the report in the German TV channel Hessenschau.